Gas tanks for summer houses. Independent gasification of the summer house and the lot. Gas equipment for the summer house. 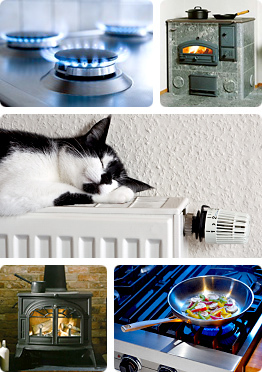 Home>Articles>Gasification of houses, summer houses and cottages. Independent gasification of the summer house, cottage and residential house? Excellent solution! Gas supply for private house thank to quit moderate cost of liquefied petroleum gas is economically advantageous in spite of expenses for all necessary equipment and its mounting. Independent gasification of country house requires maximum precision, well done design and attention to the details. Independent gasification of the cottages, summer houses and houses includes: onsite consultation, project design work, delivery of the equipment to the place, mounting work, registration of the system. Independent gasification of private house requires occasional charging and reducing gear monitoring (blowing off and moisture removal). Independent gas supply for the house is a perfect solution for modern country residential object, which presents quit complicated engineering and technical construction. 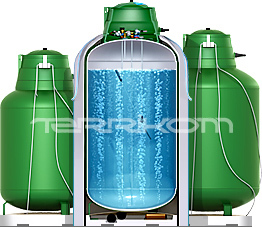 Gas tank is a special cistern for liquefied petroleum gas storage; it also includes a pipes system for gas supple to customers. Inside the gas tank liquefied petroleum gas evaporates and comes through the gas pipe line to devices and consumption systems via the pressure regulator. Gas equipment for summer house allows to heat building, to cook, to warm water, to generate electric power and to provide operating of different devices and systems, which make country side life more convenient and comfortable. Independent gas supply for the house has a lot of advantages: independence from the main gas pipeline, reliability, security and simplicity, efficiency and economy, environment friendliness, comfort and clearance. That is why if you care your own budget, security, comfort and ecological state of your summer cottage it’s reasonable to chose an independent gasification!